When you’re really sensitive and in search of something that feels like cool water on your face, Dr. Jart’s Water Drop Hydrating Moisturizer boosts the skin with a powerful punch of antioxidants and does the job like fresh summer rain, without the scent or mess. Perfect for those of us who are really sensitive and looking to alleviate and calm dull skin, the Water Drop Hydrating moisturizer treats signs of uneven skin tone, dryness, uneven texture, and sallow looking skin with nourishing and brightening ingredients. 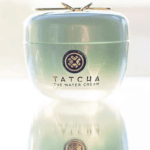 Safe for all skin types and lightweight and refreshing, this is the cream we’ve all been searching for that we don’t have to worry about irritating or breaking out our skin, and can simply focus on restoring life to any dullness or dryness, especially during cold seasons when the skin becomes especially parched. So what makes Dr. Jart’s Water Drop Hydrating Moisturizer any different than any other cream or treatment available? We reviewed to find out so you wouldn’t have to. Dr. Jart’s Water Drop Hydrating Moisturizer is another hit from the popular K-beauty brand, famous for their collections of sheet masks and skincare products that actually work but tend to use clean ingredients that are great for the skin. The Water Drop Moisturizer has a gel texture that is lightweight, but still great for dry skin, that turns into a liquid and spreads evenly onto the skin when applied. It feels soft, comfortable, and smoothes out the skins texture pretty fast- I noticed a brighter glow and softer feel even after using the product once. I also noticed even with very dry skin that the moisturizer spreads and absorbs so well that you really only need a very small amount to fully hydrate the entire face and neck area, adding value (as this product isn’t too expensive, but it isn’t a drugstore priced item either). It only contains very clean and naturally based ingredients and is safe for even very sensitive skin, so if you are prone to breakouts or redness, this is a great option, especially if you’re feeling dry on top of that and looking for a boost of radiance to treat dull skin. It helps to even out texture, promotes a healthier glow, and brightens the skin very quickly after you start using it. This moisturizer is ideal for those who are sensitive and dry-normal in skin type, and looking for a lightweight daily moisturizer that helps boost radiance, and definitely great for those of us who are used to putting on skin creams and reacting with redness and rashes- as it is incredibly gentle. If you are very sensitive or acne-prone, the ingredients you use in skincare products may be very important to you (and just as important as those in the foods you consume). In this case, the main ingredient in Dr. Jart’s Water Drop Hydrating Moisturizer is simply Hyaluronic Acid, an ingredient we all produce naturally in the skin that begins to stop producing as much in our mid 20’s. It’s incredibly safe and gentle even for the most sensitive types. With Dr. Jart’s Water Drop Hydrating Moisturizer, the main benefits were in having a gentle everyday go-to cream that seemed to restore glow, hydration, balance, texture, and softened the skin. It’s also perfect and ideal for those with sensitive and dry skin, without leaving the skin feeling sticky or greasy in any way, and never leaves you feeling “weighed down.” Skin is brighter after using it and feels much fresher, without any redness or irritation (unless there is a specific allergy). The main downsides only seem to be in those who suffer from the most dry skin, who may require a heavier cream, and those who do experience allergy, which can happen with any topical cream. If you are dissatisfied with the use of Dr. Jart’s Water Drop Hydrating Moisturizer, or if it does not work for your skin to provide suitable skincare, anti-aging and general hydrating benefits, or you experience any product allergy or reaction to the formulation, you may elect to return it at any time. In this case, you will receive a full refund equal to the entire purchase price of the item, if purchased via Amazon (it can’t be guaranteed to apply to individual stores or merchants). We cannot always guarantee the authenticity of products sold from other vendors/sources. In this case, the formulation of the Water Drop Moisturizer was very gentle, and fine to use even with very sensitive and acne-prone skin and did not cause any irritation or breakouts, but spot testing is definitely recommended with this product, as allergies are always possible. Dr. Jart Water Drop Hydrating Moisturizer: Worth It Winner? While the price point is not terribly steep, it is also not a drugstore brand price point either, so the question becomes if it is worth it for its price point. 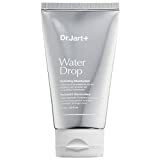 Dr. Jart’s Water Drop Moisturizer is definitely worth it for its price if you’re dry and sensitive and looking for a cream that will last (as a little product goes the distance), that improves the appearance of skin health, texture, and glow. It’s also so gentle that it’s not likely to break you out or create any redness, and it truly moisturizes the skin without leaving you feeling greasy or sticky at all. What I really loved about this moisturizer was the lightweight gel texture that turned into a liquid and felt like cool water drops spreading across the face, it’s incredibly refreshing and leaves you feeling fresh and soft. So, if you’re looking for something softening, smoothening, and a product that truly refreshes the skin this one gets an A+ score from us, and the shelf- life also adds a lot of value compared to price.